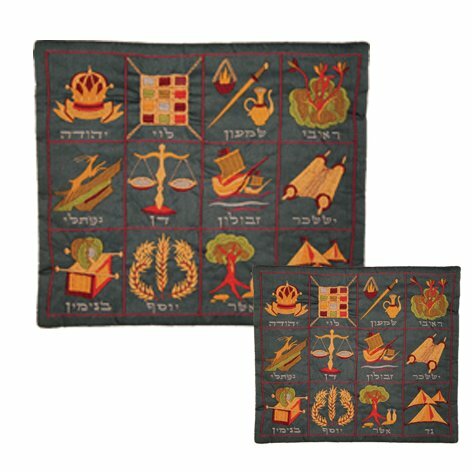 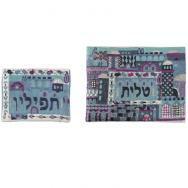 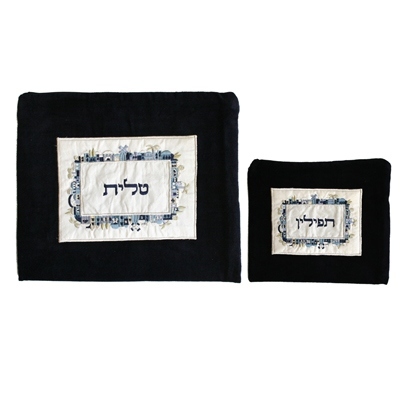 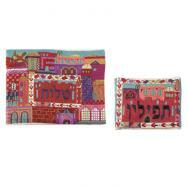 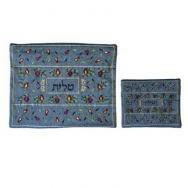 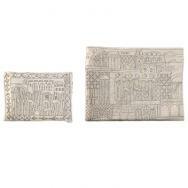 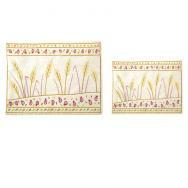 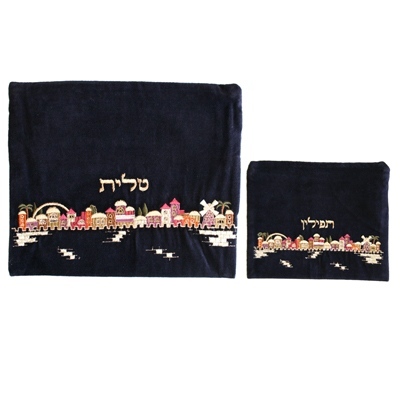 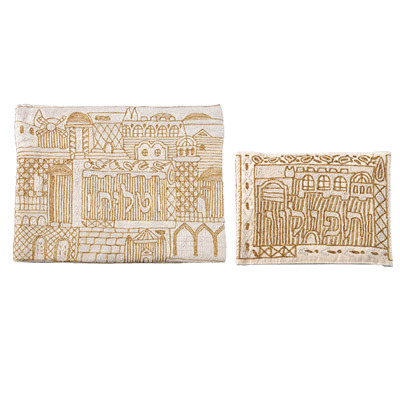 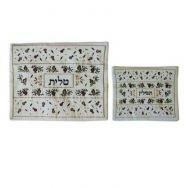 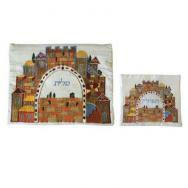 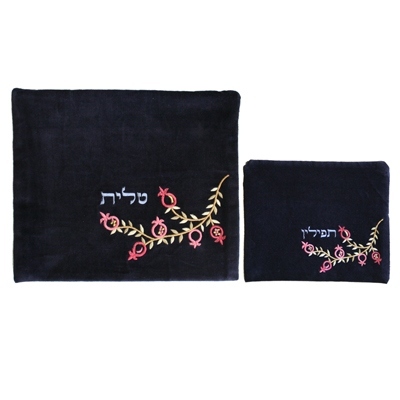 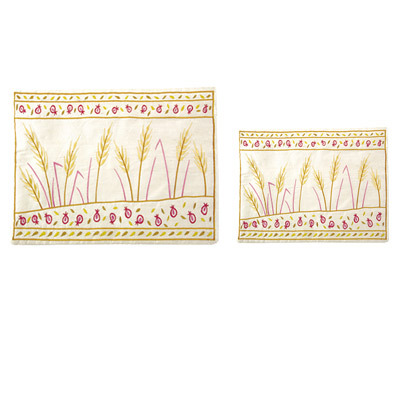 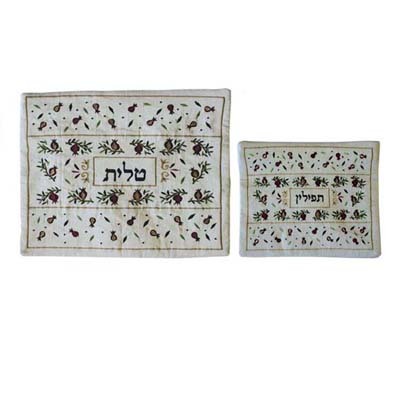 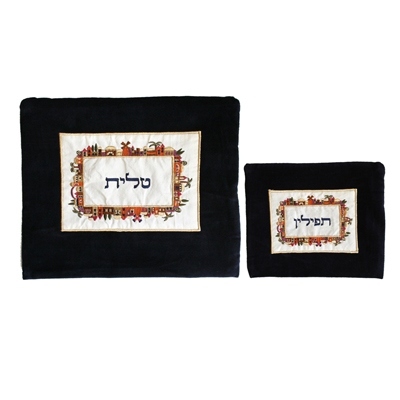 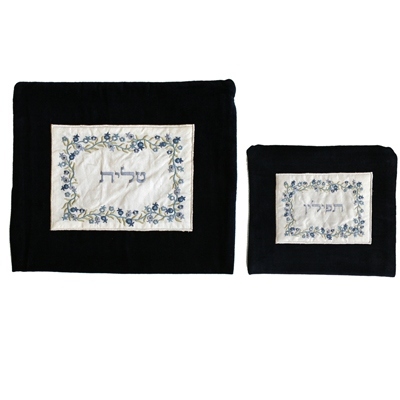 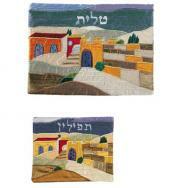 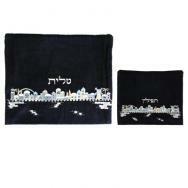 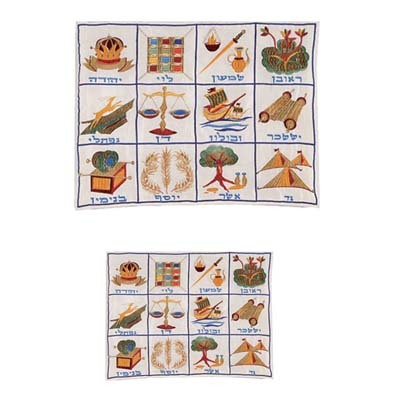 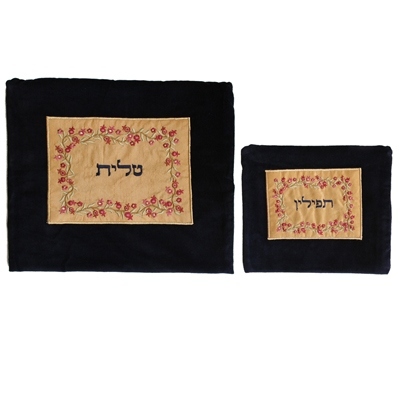 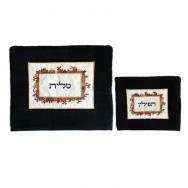 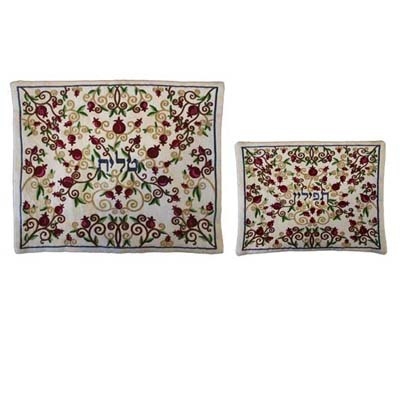 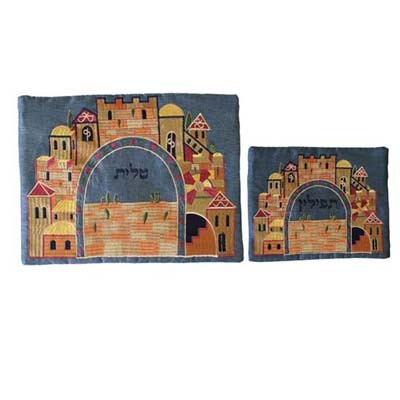 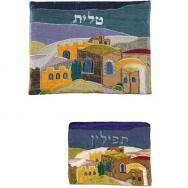 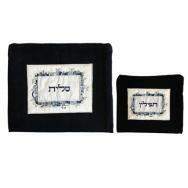 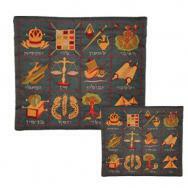 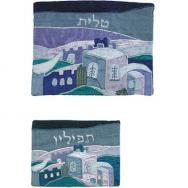 Yair Emanuel’s tallit and tefilin bags are both beautiful and practical to keep the tallit in. 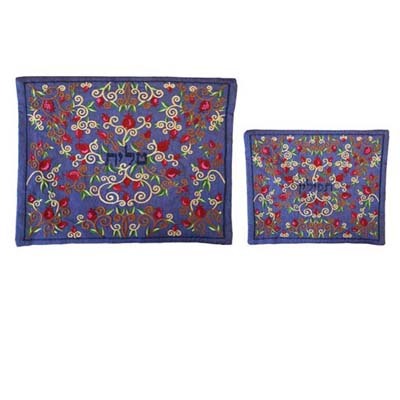 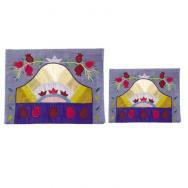 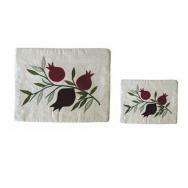 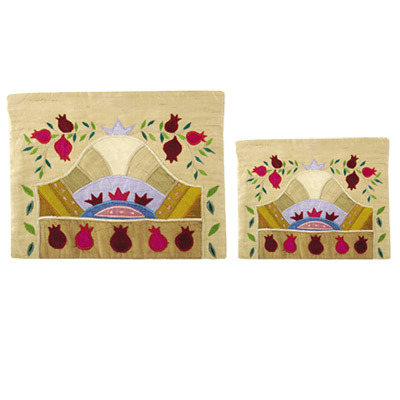 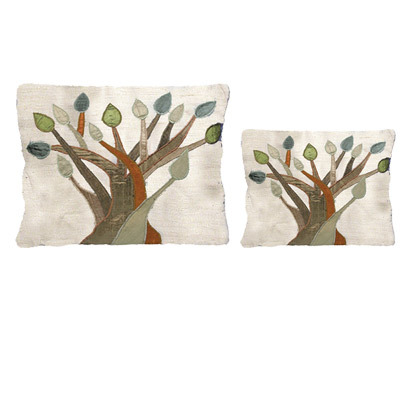 The bags are decorated with much color and in various techniques, including hand and machine embroidery, raw silk appliqué, embroidery on velvet bags, etc. 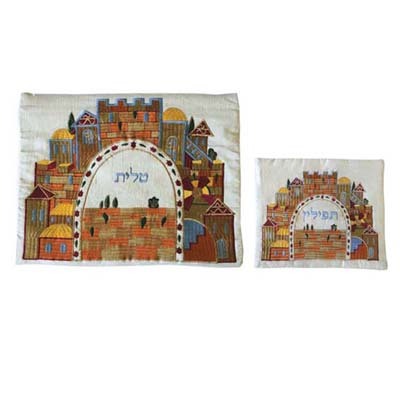 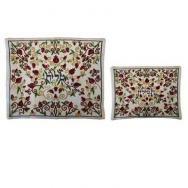 The variety of patterns includes depictions of the city of Jerusalem, patterns of pomegranates, flowers, and other Jewish motifs.